There is actually no limit to the number of times the court can extend the sentence. NORWAY PRIDES ITSELF on its fair and rehabilitation-focused penal system so the trial of a man who admitted to killing 77 innocent people posed a challenge never experienced by the country before. The very public trial of Anders Behring Breivik raised a number of questions about how the criminal justice system operates. Back in April when proceedings began in the custom-made Oslo court room, TheJournal.ie examined the issues of what had been described as Norway’s trial of the century. Included in that explainer was a clarification on the country’s maximum 21-year-sentence. Norway officially abolished the death penalty in 1979 but in reality, the last execution during peacetime was back in 1876. As stated previously, the country’s penal system is based on rehabilitation and its maximum sentence is just 21 years. However, that does not mean Breivik will walk free by 2033. Because he has been found criminally guilty, the sentence can be extended (by five years at a time) if a parole board believes he still poses a threat to society. A sentence of permanent detention can be imposed if there is considerable danger of repetition. Permanent detention is not subject to any timeframe. However, the court always fixes a timeframe that may not exceed 21 years. When the timeframe expires the offender may be re-assessed. If the court concludes that there is still a danger of repetition the timeframe may be extended by up to five years at a time. There is no upper limit to the number of times that the court may extend the timeframe. 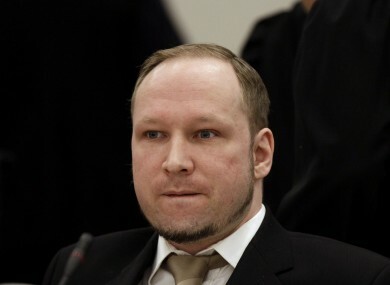 Email “21-year-sentence does not mean Breivik will walk free in 2033. Here's why:”. Feedback on “21-year-sentence does not mean Breivik will walk free in 2033. Here's why:”.